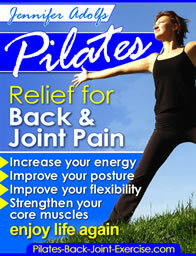 Many people come to me for hip stretches that can help with pain in their Sacroiliac or Hip Joint. Commonly this pain can come from a pelvic imbalance due to tight or weak muscles surrounding the pelvis, poor posture, pain or weakness in the feet, etc. One of my favorite stretching exercises for the hips, and for pain in the hips resulting from pelvic imbalance, is the bent over wall stretch with heel lift. See this hip stretch described for you on my youtube video here! Stand leaning into a wall with your feet just slightly away so you are balanced and with your toes lined up evenly. Start with your shoulders, ribs and bottom heavy against the wall. Take a breath in and as you exhale roll down from the top of your head through the spine until you are hanging down reaching for your ankles. Keep your abdominal muscles pulled in and let your head hang heavy. You will probably feel an intense stretch in the hamstrings and through your hip muscles. Keep hanging down and lift one of your heels as high as you can inhaling, then exhale as you sink the weight into the other leg. Keep pulling your abdominal muscles in deeply and letting your head hang down heavy so you really feel the hip stretching up and down the leg with the weight in it. You are probably feeling the fascia or IT band stretch on the lateral side of your thigh. Repeat this on the other leg and then for 4-6 repetitions each side or until you feel some relief in the tight hip muscles. When you are finished you should be able to reach a little farther than when you started. Take a breath in and then exhale as you draw your abdominal muscles up and in and slowly roll your spine back up the wall to the start position. Here is another way to do stretches for tight hip flexors and to balance the pelvis by stretching the hamstrings in the back of the thigh and the hip flexors in front of the thigh simultaneously. Sitting on the end of your bed with one leg hanging off, grab under the opposite knee and pull the knee into yourself as you roll back to lying, while pulling the one leg into yourself grab the end of the bed with the other leg hugging the heel into the bed. Your hip flexors may be too tight to do this comfortably and the leg may pull up off the bed. Breathe out as you pull the knee toward your chest and hug the bed with the back of your lower leg and heel. Once the pelvis is balanced you can follow up with some pelvic strengthening exercises like the Pilates Bridge that can be found here. Or, Check out more Hip Stretches and exercises for your hip muscles here.